Now the residents of Moscow to make the counters of water on the Internet, there is no need to appear in person at the district engineering service to obtain a username and password, it is not necessary to sign a special paper. With the new service now any user registered on the Portal of the capital, may send the counter without any red tape. If you have not registered on the above website, it's time to do it. On the creation of an account will take only a couple minutes, and then will have to login by entering the data specified during registration (login, password). 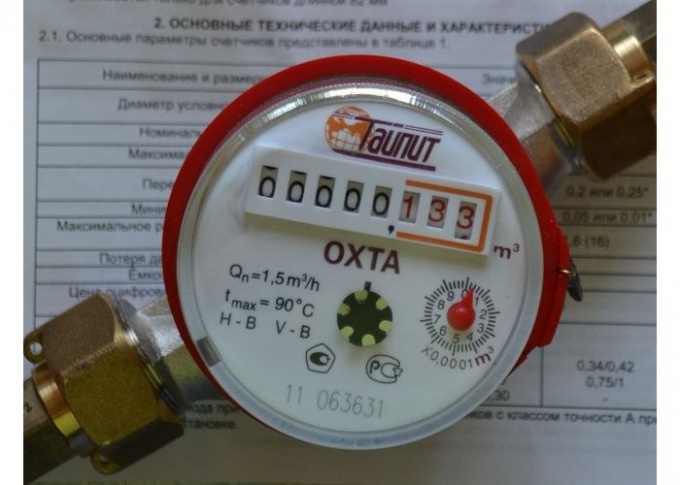 After logging in the system select the service called "submission of meter readings for hot and cold water", enter payer code that is identical to the account number of the apartment. This number can be easily found on receipts a single payment document. If you have entered the correct code, and your apartment has individual meters for water, you will be redirected to the page where you will need to enter meter readings for the reporting period (up to 3 next month). Users previously granted access to the personal Cabinet on the website of GU is, you can continue to use the service or send readings through the portal of public services. No matter what way you transmit the data they received into a single information system. For transfer of readings of individual meters of water there is also a hotline, which operates at (495) 539-25-25. On this phone every month to call and to transmit the meter readings for hot and cold water. Since the discovery of this service, the hotline received more than 200 thousand calls. Every month about 20 thousand inhabitants of Moscow transmit data of the individual devices of the account of water, through phone, and in the days of peak loads on the hot line receives up to 5 thousand calls. The hotline operators work daily from 8 to 20 hours, seven days a week. Currently there is one implemented recently. Is the sending of the data of water meters by sending SMS to a specific number. It is also quite convenient, and a significant time savings is obvious.